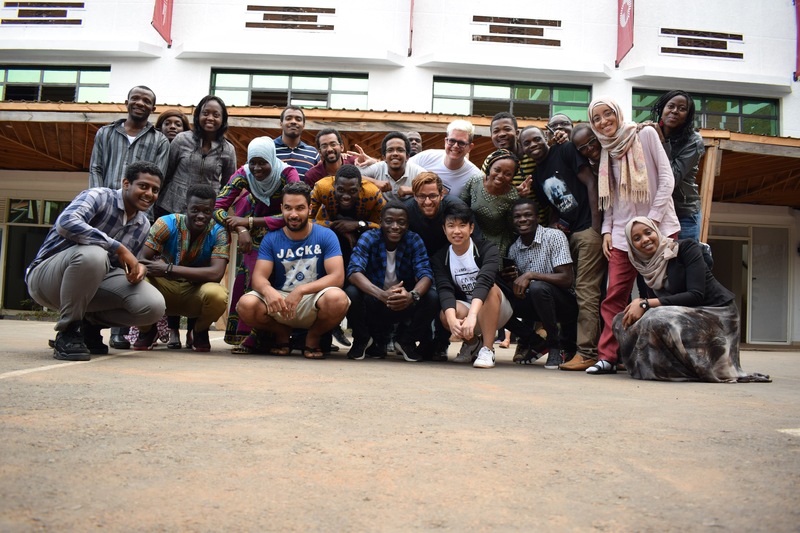 Helped to teach these students from The African Masters of Machine Intelligence (AMMI) by The African Institute for Mathematical Sciences (AIMS) with Alfredo Canziani. A unique pedagogy is required for deep learning beginning with intuition, culminating in just enough math, and ending with programming. This approached has worked when I delivered my deep learning course to over 3000 students over 120 countries. And I continue to champion this pedagogy. I’m very pleased that I share the same passion with Alfedo when he delivered his interactive lectures. Importantly, I see great potential when I personally interacted with students here. I see future deep learning researchers and applied machine intelligence experts who have the potential to make groundbreaking changes in the fields of healthcare, agriculture and education throughout Africa. With the right education, mentorship and opportunities, they would be pioneers. Simply put, deep learning talent is underexplored in this continent. I am thankful to Alfredo Canziani who has been my best pal and inspirational guy while I was there, Moustapha Cisse for creating these opportunities for young African students to thrive, #Facebook and #Google for supporting this program, and Pedro Antonio Martínez Mediano and Marc Deisenroff. Coincidentally, I would also like to thank Yoshua Bengio for holding ICLR in Africa in 2020 for the first time that he announced recently. Finally, really appreciate how #PyTorch has made programming neural networks more approachable and it was made possible with the amazing PyTorch community sparked by Soumith Chintala. Speaking about community, I got to contribute to the deep learning community with the help from supportive groups and individuals from the global deep learning community. Likewise, we should continually help these young Africans like any other. I'm being a fanboy here, but Yann Lecun liked my post on Facebook!